You'll also love this week's photos on the topic of Green Resolutions over at Natural Parents Network, and the associated Carnival of Natural Parenting this month, where every participant experimented in natural family living. If you'd like to try greening your lunch, enter to win a waste-free bento box system from EasyLunchboxes — the giveaway has an easy Rafflecopter entry and ends today! 7. Simple Whimsy- Making "Spaghetti"
Love the mustaches. Love it. 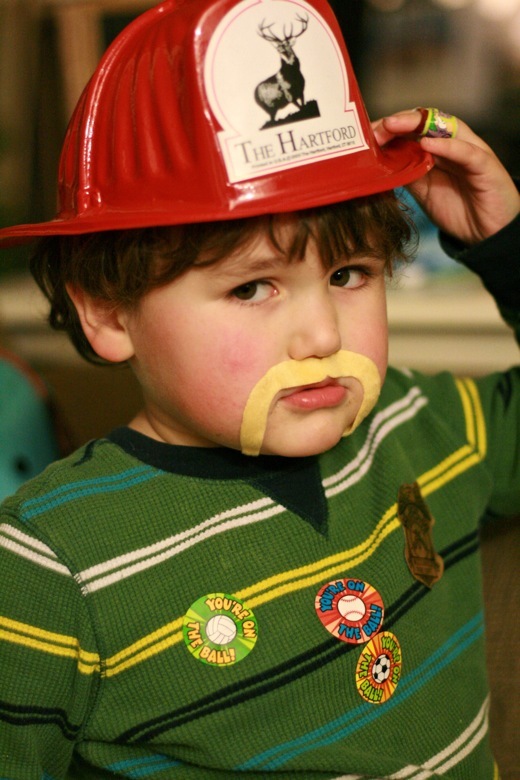 Cute mustaches, cute boys - where's your 'tache? 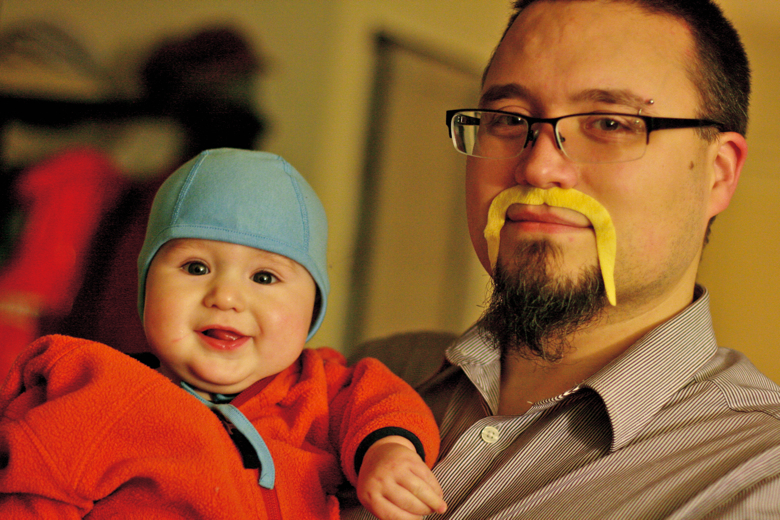 I was hoping the Mikko pic was going to be part of your WW post ;-) Alrik looks amazing with a mustache too! Adorable. I love Alrik sticking out his tongue at the camera. My favorite is Alrik's tongue out pic too. I also agree that you need a mustache. You guys are always having so much fun! Such fun! Mikko looks ever to serious in his firemans hat though! Lol. Ah ha hahaha! Love it! What funny cute guys you have! hehe. those are great! we have a similar post too :). I can't believe how fast the newborn/infant stage passes. Alrik looks so big already. You know what my 3-year-old got out of this post? The fact that Mikko has a fire hat and he does not. Apparently this is Very Unfair Indeed. 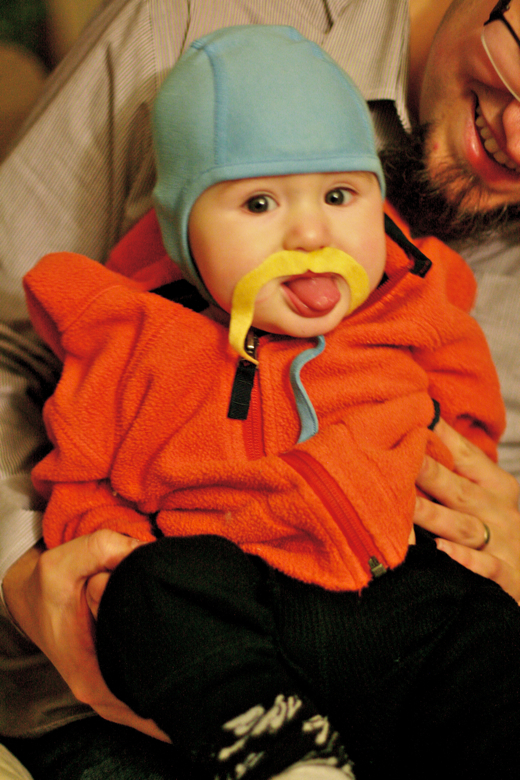 On the other hand, I got out of this post that your family can totally rock a mo.